On this site we have summarized the top new features of the recent releases on Simufact Welding. Please read and watch the videos to get an overview on the top highlights of each respective version. 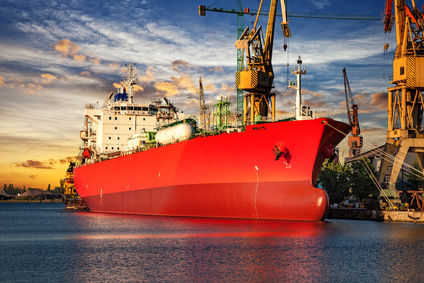 Through the use of solid shell elements, assemblies made of thin sheets require less calculation time because the required number of elements in the model drops significantly. The software can also convert many models with hexahedron elements into solid-shell meshes. To do this, Simufact Welding 7 checks whether clear upper and lower surfaces are present. If these specifications are identified by the conversion function, the previous hexahedron mesh can be converted to solid-shell mesh. 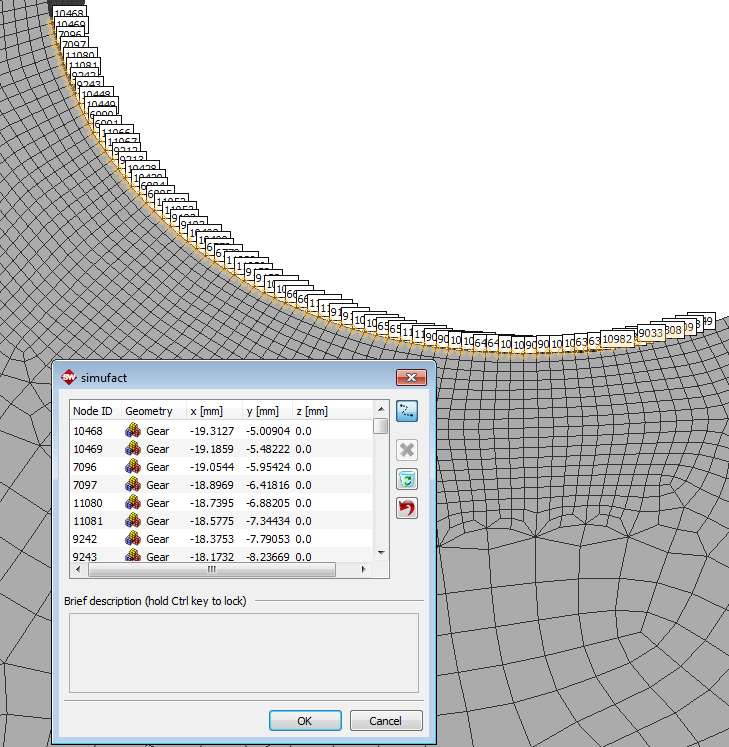 The parallel segment-to-segment calculation implemented in the new solver allows faster and more efficient calculation of large models with many contact surfaces. This contact description uses DDM (Domain Decomposition Method) a parallel computation framework which utilized parallel computation efficiently. In Simufact Welding 7, Simufact introduces the simplified calculation method “Thermal Cycle” for resistance spot welding processes. This method, which is already used for other welding processes, complex and large assemblies can be calculated in a shorter computing time. If the shape of the nugget is for example already known from process models or measurements, the user can additionally simplify the calculation by directly predefining temperatures in the nugget without previous calculation. With a few mouse clicks, users can add new welding robots with multiple welding paths, heat sources and fillet seams to their models. This is useful when the user is confronted with many welds while simulating large structures or multi-part assemblies. The robot assistant simplifies the model set up for the user, since it can process all definition steps in one dialogue. This new feature automatically detects the edges of a component. The automatic edge detection simplifies the work on the model and helps to avoid errors when creating welding paths on curved surfaces and edges. On top, users can create complex welding paths much easier. 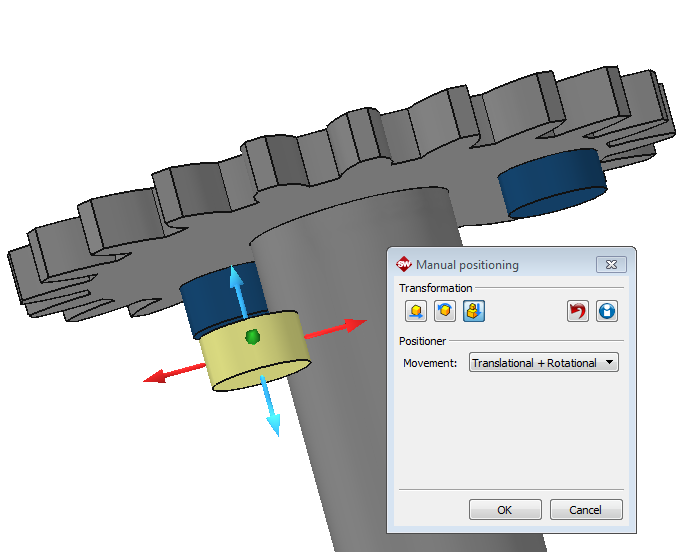 Using the transformation matrix, engineers can position and move the workpieces quickly and individually in the software. The user can position the same workpiece independently in several models. Contact positioner allows fast alignment of components to each other. In this way, the user saves time since manual corrections are no longer required. The material properties influence the result quality of resistance spot welding processes by the resistances in the material. Simufact Welding 7 contains 16 common coatings, which enable the user to take into account the electrical properties of coated sheets and to further increase the quality of the simulation. No effort is required to determine the resistance data. 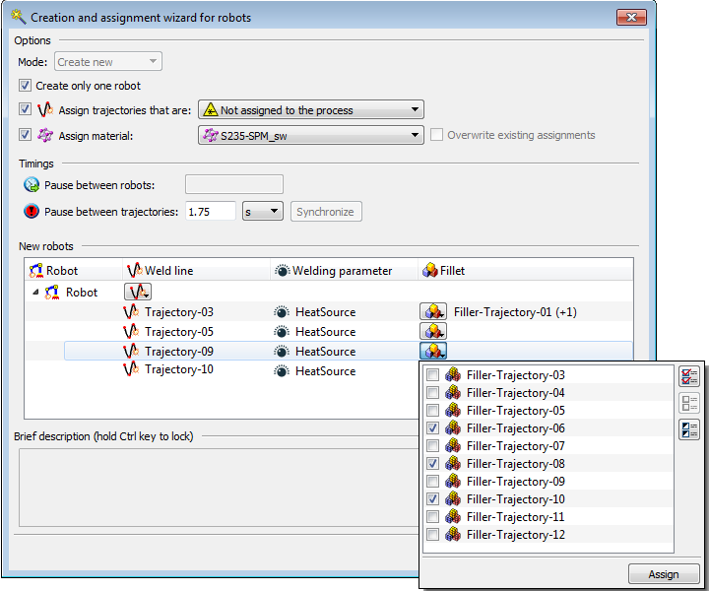 Simufact Welding 7 can import UNV files - improving the compatibility of the welding software with third-party software and interoperability in the process chain. 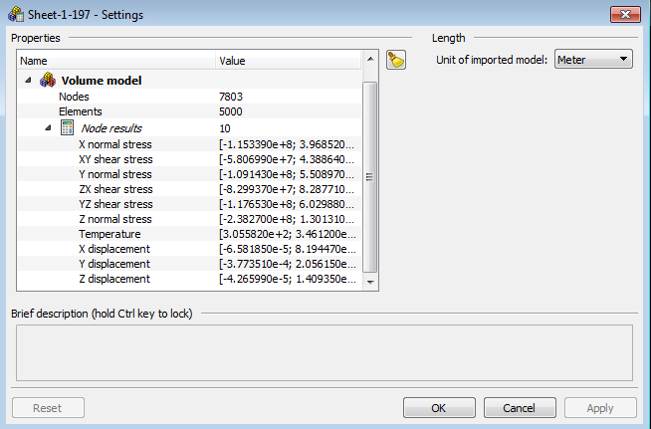 The user can import result data from third parties such as from forming or casting simulation into Simufact Welding in order to edit these files or use them for subsequent calculations. While welding large assemblies, usually several hundred clamping tools are required, which, like the welding itself, have an influence on distortions and residual stresses on the assembly. 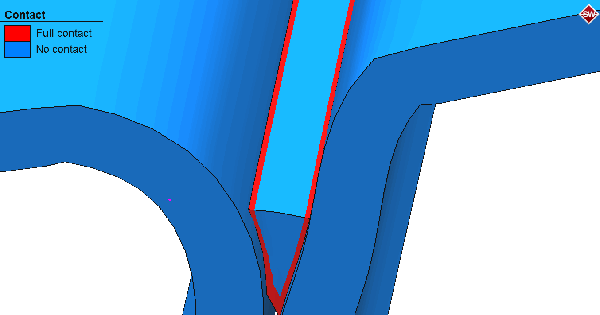 Until now, the stiffness in the clamp could be described exclusively perpendicular to the contact surface. With the implementation of the definition of clamping tools with translatory and rotational stiffness, version 7 additionally takes into account possible rotations and the movements of the tools along the surface. Simufact Welding 6 puts a focus on reducing calculation times and enhanced options for the evaluation of simulation results (post processing). 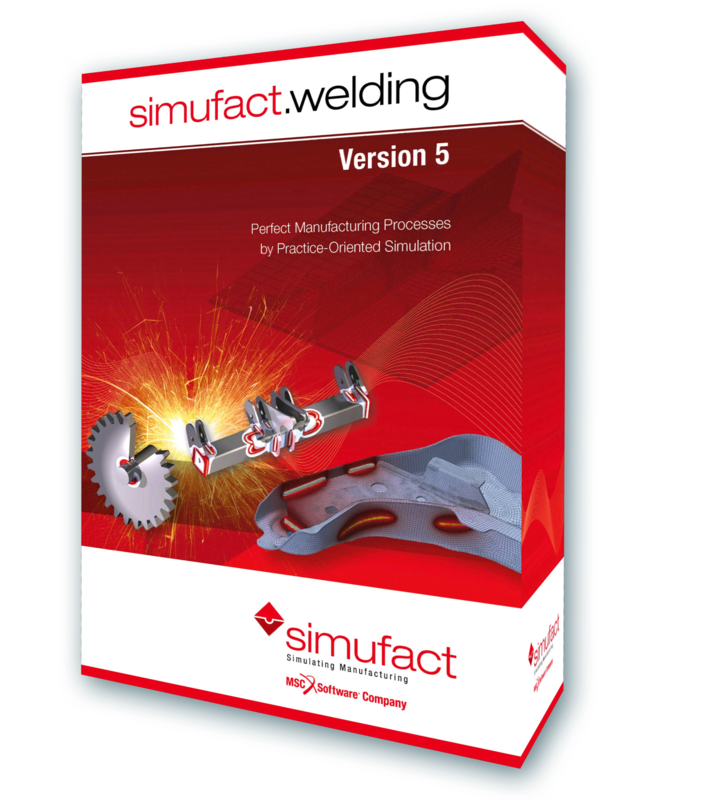 Simufact Welding 6 fulfils the request for obtaining precise simulation result within a short calculation time. The software offers scalable calculation methods for various tasks regarding the accuracy and simulation speed. Through the introduction of further simplified calculation methods, Simufact Welding can now also be used to simulate simultaneously, several longer processes with multiple welds and several welding points. Extensive changes in the solver have contributed to a significant improvement in the stability and speed of the simulation. Post-Particle Tracking allows the user to customize the measuring point settings, after a comparison of the simulation results with the measurement data, thus the model optimization can be done much easier and faster. During the welding process the engineer can measure and evaluate the forces on the clamping tools with the help of the Time-History-Plot function. The measurements given by this function, provide the engineer with information on the spanner-force distribution, tool displacement and other important information for the optimization of the clamping devices. Simplified automated modelling allow for the computation of large-scale assemblies within a finite time. Comprehensive revision of the modelling process and the results management, e.g. 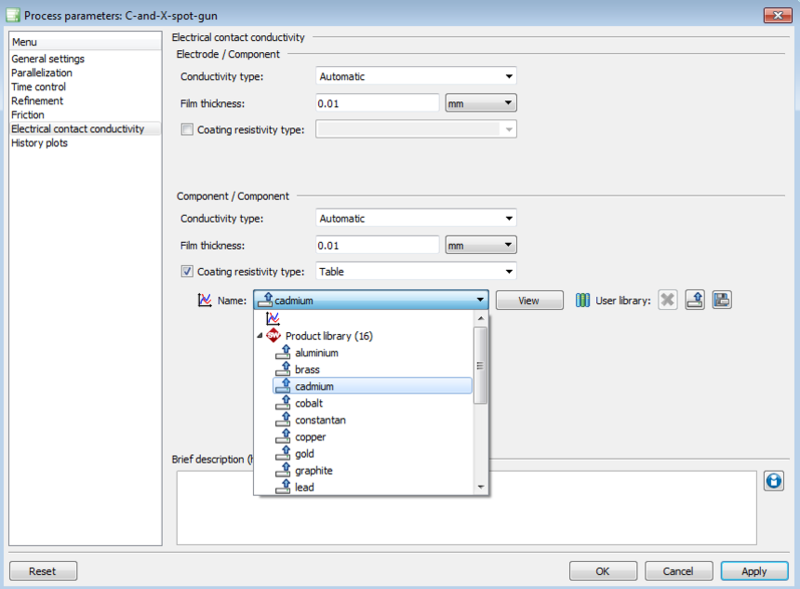 : the preview functions, revised the color coding, UNV export, heat source database, assemblies etc. Simufact.welding 5 is more closely towards the real welding processes and comes with a new application module Resistance Spot Welding. 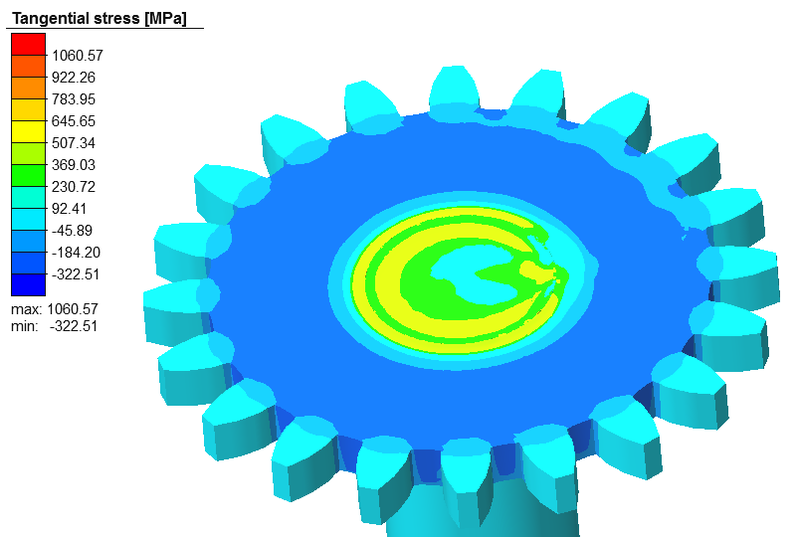 The cover of the new Simufact.welding 5 software box illustrates the simulation of a laser-welded gear wheel, carrier of an agricultural vehicle and a lower part of an axle. 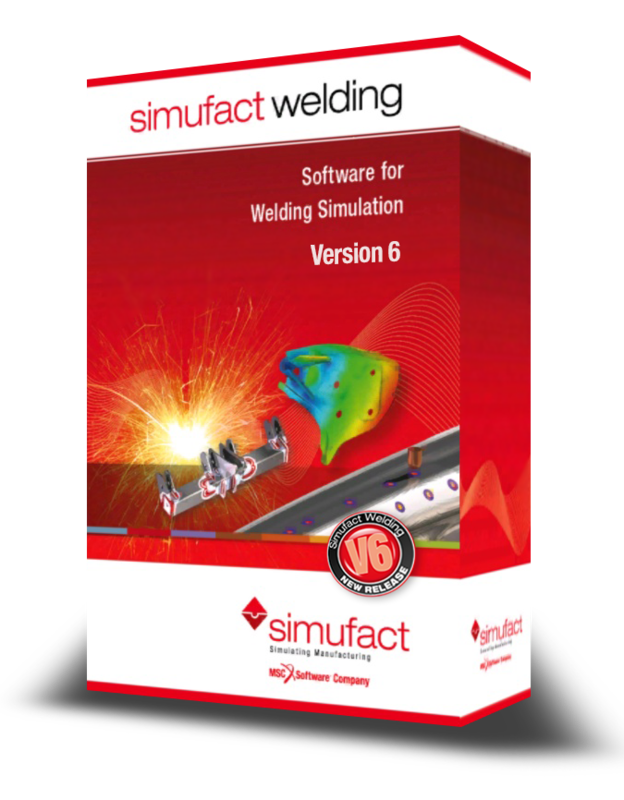 With Simufact.welding 5 Simufact determines the basis for the introduction of the already in Simufact.forming proven AFS technology (Application Function Sets). Thus the user can now also select in Simufact.welding a graphically appealing, initial selection of welding processes and types of application scenarios. Simufact.welding 5 enables users to simulate resistance spot welding. The new version comes with a full electrical-thermal-metallurgical-mechanical coupled analysis. Based on that the influence of reheating and shunting effects can be modelled; electrical properties can be modelled phase-dependent. In particular the automotive manufacturing industry uses this welding process type. With Simufact.welding 5 we support the engineers in the approach. Apart from the introduction of process types, Simufact’s developers have made a number of improvements for the users of Simufact.welding 5. The Creation and Assignment Wizards for geometries, materials and marginal conditions allow for a faster and automated assignment of objects to the chosen processes. Simufact.welding employs Gantt diagrams to visualize process times. Gantt-diagrams are used in project management to visualize the time sequence of process steps as bars on a time axis. With Simufact.welding 5, a static Gantt diagram becomes an interactive Process Control Center (PCC), which can be used to optimize welding sequences, cooling and unclamping times.